The Organising Committee is happy to offer a simplified procedure of obtaining Russian visas and is pleased to provide confirmed participants withthe official Letters of Invitation to facilitate the visa application process. 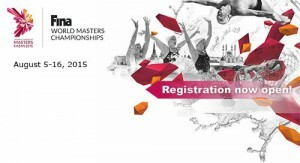 The visa will be valid from July 15 till August 20, 2015 and will be free of charge for all participants who successfully passed the registration.The registration for the 16th FINA World Masters Championships 2015 – Kazan (RUS) IS NOW OPEN!For the first time in the history of the FINA Championships, the 16th FINA World Masters Championships 2015 in Kazan will be integrated into the 16th FINA World Championships. It will be a unique opportunity for the guests, spectators and Masters athletes to be a part of the two most remarkable sporting events of summer 2015.The city will amaze everyone with its beauty, its modern developed infrastructure and its advanced technology. The athletes and guests will be able to enjoy the exceptionally comfortable conditions created here.In order to be accredited for the Masters Championships as a participant one should pass online registration following the link https://registration.fina.org. The registrationshall take place through the online FINA General Management System (FINA GMS) from February 17, 2015 till June 15, 2015 at 21:59 (GMT). The Organising Committee is proud to announce that free of charge return transfers from the airport to the accreditation centre will be organised for the participants’ convenience. Furthermore, a free shuttle bus system will be available to ensure smooth transportation of the participants from the Athletes’ Village to all sports venues. The participants will also be provided with a free public transport service. The FINA Water World Park will become a major cultural site of the Championships offering its visitors and guests a diverse entertainment and cultural programme. More detailed information about the Championships can be found on the official website of the Championships (http://masters.kazan2015.com/en), in the Entry Booklet (http://masters.kazan2015.com/en/entry_booklet) as well as in Frequently Asked Questions section (http://masters.kazan2015.com/en/faq). If you have any queries, you could send them to the following e-mail:masters2015@kazan2015.com. We truly hope that you are going to take an active part in the Masters Championships in Kazan and contribute to the great history of the worldwide aquatic sports movement. We are looking forward to welcoming you in Kazan! 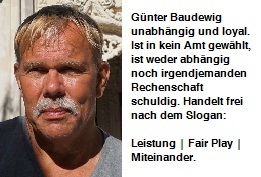 Dieser Beitrag wurde erstellt unter Aktuell von Baudewig.Lesezeichen Permalink.